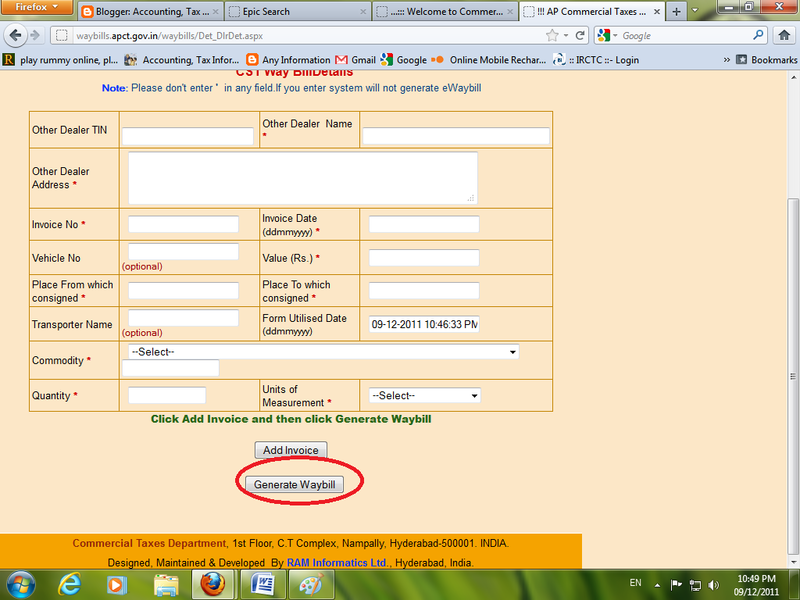 > Click on Generate Waybill. After waybill generate completed, you will get 3 copies (original, duplicate, triplicate ). Put your company seal & sign it. Keep triplicate for office copy, and use original & duplicate for transporter. I think its get change and updated with time. 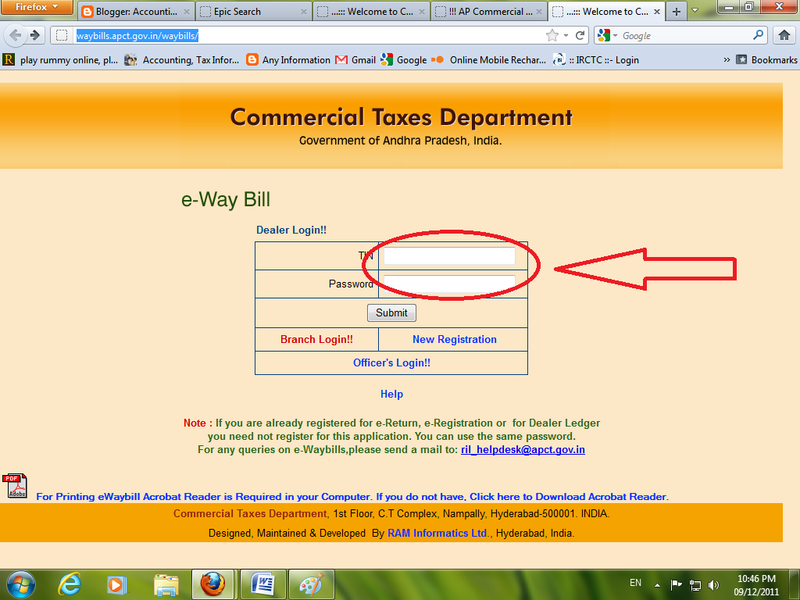 In advance e-waybill is there any requirement for Signature & stamp. 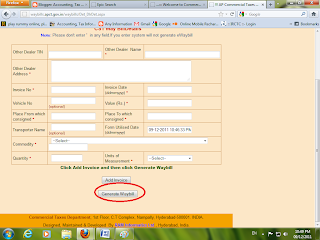 after generating advance waybill sign & stamp is required or soft copy we have to send party. Original, Duplicate, Triplicate waybills must require signature and seal. 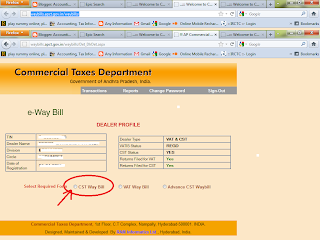 How to fill way bill for 1 invoice with 2 vehicle, shall we have to generate 2 waybill or single waybill. if single how to mention Package or Qty. if 2 waybills how to mention Value of the invioce.? You must generate one waybill for one vehicle. Just mention total Invoice value for both waybills. Is this correct?? 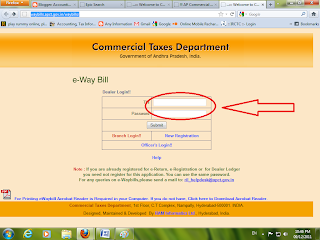 'in the e waybill generated, address of the dealer to whom waybill issued shall be buyer's address and name of the dealer to whom goods are consigned or from whom hey were purchased shall be supplier/agent." And the term 'to whom goods are consigned' and 'from whom goods were purchased' are opposite terms (One means buyer, second one means seller) how come it is coming this or that in the e -waybill generated??? How many way bills can i get at once ........? Its depend on your company capacity. 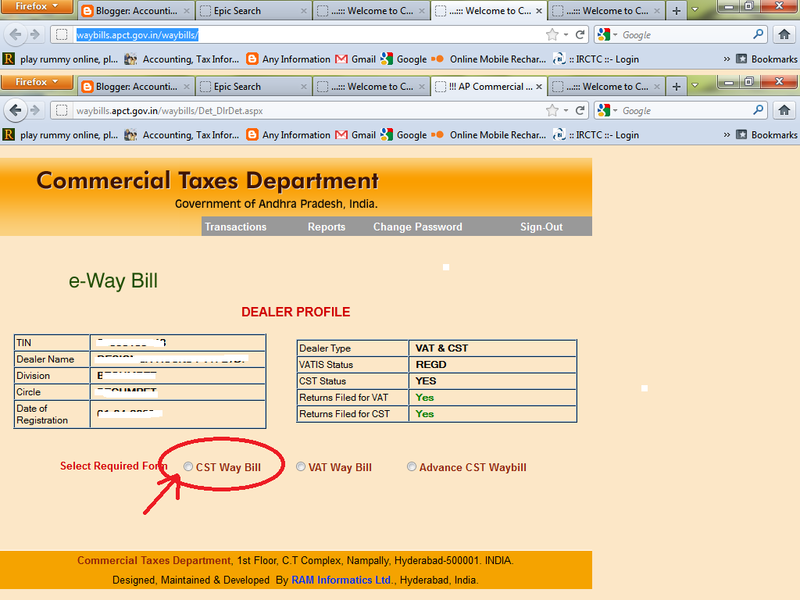 what is advanced cst way bill?